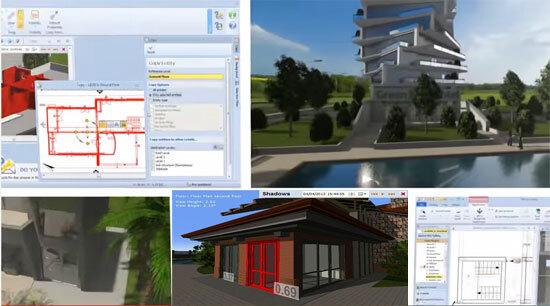 ACCA software introduced Edificius, a BIM software for architectural, engineering and building industries. Edificius facilitates the 3d professionals to design the whole thing when required to produce a complete and detailed project for several types of building or structure. With Edificius, the users can get floor plan views, section views, elevation views, construction details, tables, schedules, reports, isometric views, perspective views, renderings, photo inserts, animations from a single 2D or 3D model automatically. Edificius consists of the tools useful for creating drawing of envelopes, openings and rooms, ornamental walls, stairs, slabs, columns, beams, fillings and coatings, as well as several other objects associated with a building project. The users will be able to maneuver objects by dragging their nodes as well as access & edit all their properties. Edificius is compatible with other leading 3d modeling software like PriMus for Bills of Quantities, SketchUp for solid modeling, Edificius-CAD* for DWG CAD Drawings. Edificius also aids in searching the structure in 3D from different angle and viewing styles. With this features, the users can easily locate any problems or submit the project as detailed as possible as the users can also export it as superior quality 3D renderings.